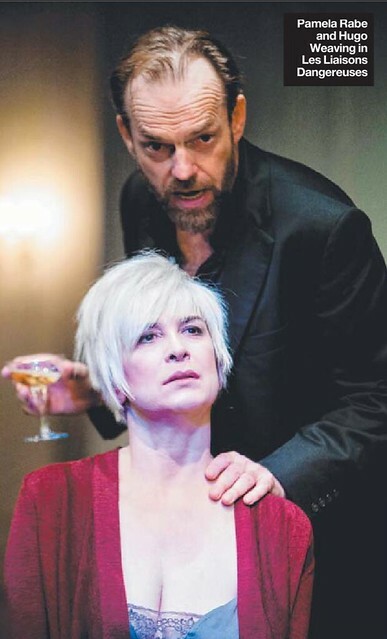 Here are excerpts from and links to the latest round of reviews for Sydney Theatre Company’s Les Liaisons Dangereuses, starring Hugo Weaving, Pamela Rabe and Justine Clarke. Though the “professional critics” generally saw the production during its first week, interesting insights continue to pour in from bloggers, journalists and theatre fans. The vast majority of reviews (including all I’ve seen this week) continue to be very positive. I’m also sharing a few new photos from a recent session Hugo did for photographer Jane Dempster; a few of these appeared with The Australian‘s profile and interview last month, but as usual many more images were taken and not published; arguably some of these are as good or better than those that made the cut. 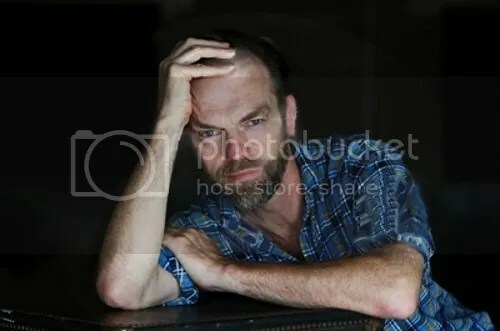 Unfortunately, I’ve only found heavily watermarked copies thusfar… I was able to painstakingly clean a couple of them before my computer died last week, but since then I’ve been unable to access the others, and some had Hugo’s entire face obscured, so I couldn’t do very much with them. But I hope to share at least a few more at the beginning of next month when my computer is (I hope) back in service. Meanwhile I hope you enjoy these. I know they’re not ideal, but shouldn’t be hidden in some press archive. 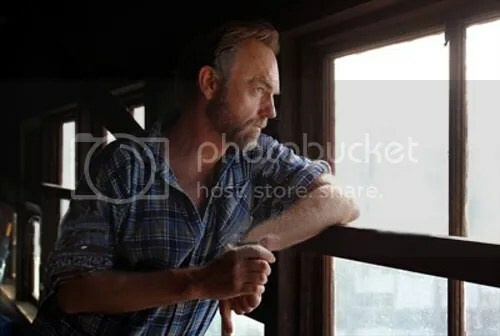 I should also note that I’ll be away for the next eight days or so, probably with minimal internet access of any kind; I promise to compile any breaking Hugo News and post it here once I return. 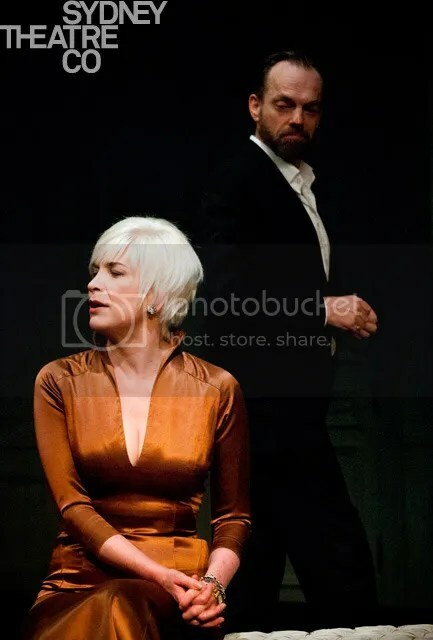 The Helen Hayes Awards will be announced Monday evening (in Washington DC); Hugo was nominated along with his Uncle Vanya castmates Cate Blanchett, Hayley McElhinney and Richard Roxburgh for performances in a “non-resident production”– here’s hoping for multiple wins. Thanks to all my friends and readers for their patience as I’ve dealt with a major computer meltdown here. My machine is now in the shop for diagnostics and (hopefully) repairs, and until I get it back in working order, my online sessions will be somewhat limited and curtailed, as I’m borrowing computers from friends and relatives who don’t have my files and software in place. Fortunately, though, I can still share links and photos, and will do so whenever the opportunity presents itself. Sydney Theatre Company’s production of Les Liaisons Dangereuses by Christopher Hampton continues to draw sellout crowds and new rave reviews. 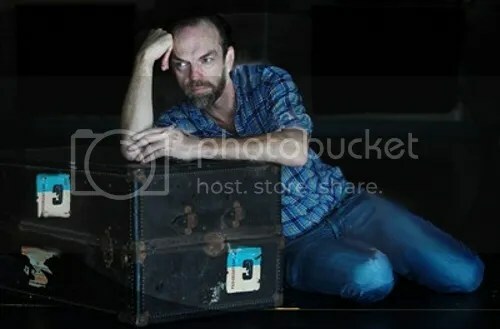 I’ll post a selection of the latest bunch below, but first I’ll alert you that there’s a great slideshow of new and previously seen photos from the play over on Australian Stage Online. All photos (including the pair below) are by Brett Boardman. Finally, there’s a bit more about Hugo’s Best Supporting Actor win at the Film Critics’ Circle of Australia Awards at Screen Daily. 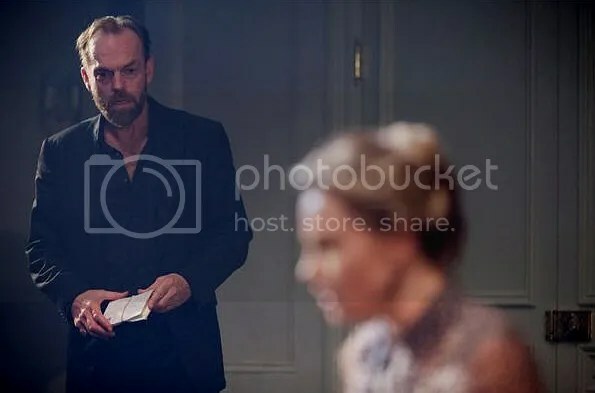 Before I haul out the latest Les Liaisons Dangereuses pics, links and excerpts, let me congratulate Hugo Weaving on his latest Best Supporting Actor prize for his role in Oranges and Sunshine, this one from the Film Critics’ Circle of Australia. The awards were announced and live-tweeted a few hours ago. Les Liaisons Dangereuses continues to draw mostly rave reviews, apart from a few cranks from the Daily Telegraph who won’t shut up. 😉 As I mentioned in the last entry, even other reviewers from the same paper disagree with their Tall Poppy snideness; The Sunday Telegraph praised the play and Hugo’s performance lavishly. 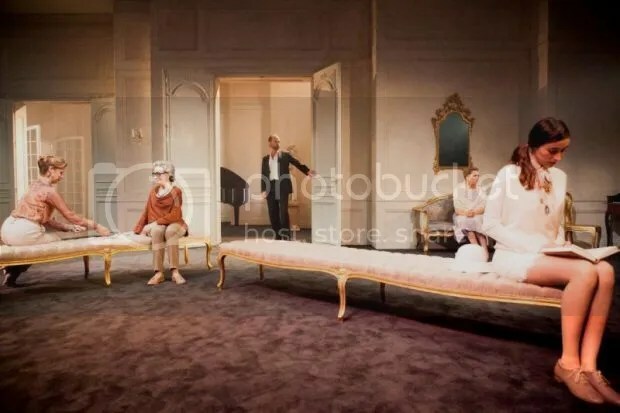 I linked to the online version of their review in the previous entry, but will include the print review because it includes a new photo of Hugo and Pamela Rabe. The Australian’s print review is also included under the cut, so those of you stymied by their subscriber’s only restrictions online can finally have a look. Audience reviews (on Twitter, Facebook, etc) continue to be ecstatic. 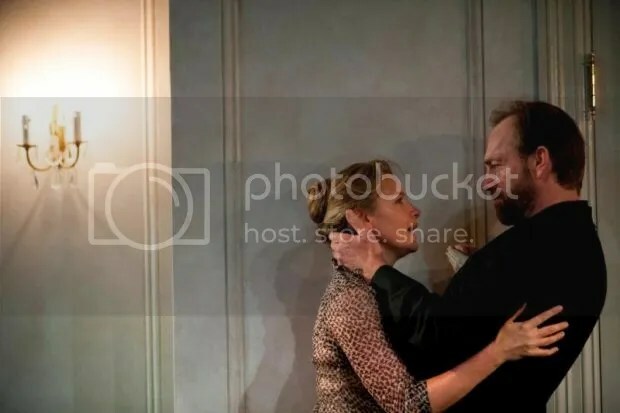 The responses to STC’s new production of Les Liaisons Dangereuses, starring Hugo Weaving, Pamela Rabe and Justine Clarke, continue to appear; I’ll add links and excerpts here as they do, along with the latest photos. The Sydney Morning Herald‘s Jason Blake also praised the adaptation; as it turns out, this review text was first posted online in Eight Nights A Week, which I excerpted here yesterday. Les Liaisons Dangereuses: First Reviews and Pics!